Myth: Only people in their 70s need hearing aids. Fact: Hearing loss is not specific to one age group. In fact, we've seen an increase in the number of younger patients with hearing damage. It's important to catch hearing loss as early as possible to prevent further damage. We recommend scheduling a yearly screening to monitor the condition of your own hearing health. Myth: Hearing aids will make my hearing loss worse. Fact: Hearing devices will not increase the rate of your hearing loss. Patients who are properly fitted with hearing devices can even find a decrease in the rate of hearing loss. 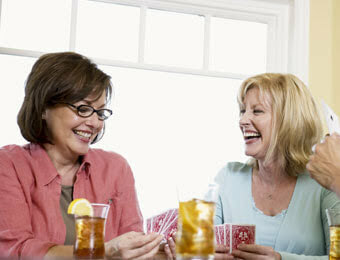 Treating your hearing loss early gives you a much easier transition into wearing hearing devices. Myth: Everyone will notice I'm wearing hearing aids. Fact: Asking someone to constantly repeat themselves is a lot more noticeable than a hearing device. 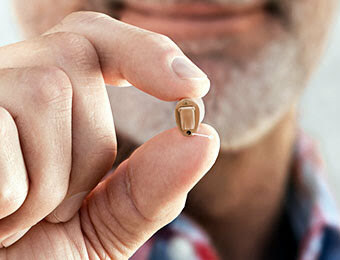 Modern hearing devices are sleek and discreet, and some are even practically invisible. They now come in a variety of shapes and sizes. At Low Country, we can work with you to find the perfect device for your lifestyle. Myth: I can hear fine. People just don't speak loud enough. Fact: One of the most common signs of hearing loss is difficulty hearing conversations. If you're having trouble understanding people or find yourself listening to the TV at higher volumes, this can be a sign of hearing loss. We recommend scheduling a hearing screening and getting the facts. Q: Can hearing aids be adjusted? A: Yes, hearing devices are able to be adjust and customized to fit your specific needs. Some devices have manual controls on the shell, but other require in-office adjustments. Once you've been fitted and become accustomed to your hearing devices, we recommend coming in a few weeks later. 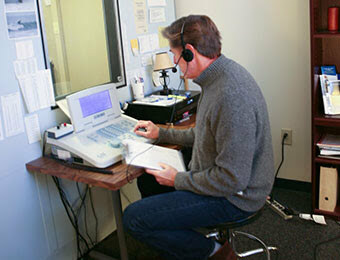 We can make any adjustments to your hearing devices so that they better suit you. A: Typically, batteries last 7-10 days. You can get the most out of your battery life by opening the battery door when your devices aren't in use. There are also rechargeable devices so you don't have to worry about replacing batteries. These are recommended for individuals with dexterity issues. Q: Can hearing aids restore my hearing? A: Unfortunately, hearing devices are unable to reverse the effects of hearing loss. However, they can provide a comfortable solution for managing hearing loss. Patients fitted with hearing devices experience improvements in their hearing experience and overall quality of life. Q: What if my device is damaged? A: If anything happens to your hearing devices, you should bring them in immediately. We can get your devices back up and running so you don't have to go without them for long. At Low Country we also offer the EarQ 4-Year Warranty for added protection on EarQ hearing devices. Q: Can I bring someone to my hearing screening? A: Absolutely! We encourage our patients to bring along a loved one. The more knowledgeable everyone is about hearing loss, the easier the journey will be.